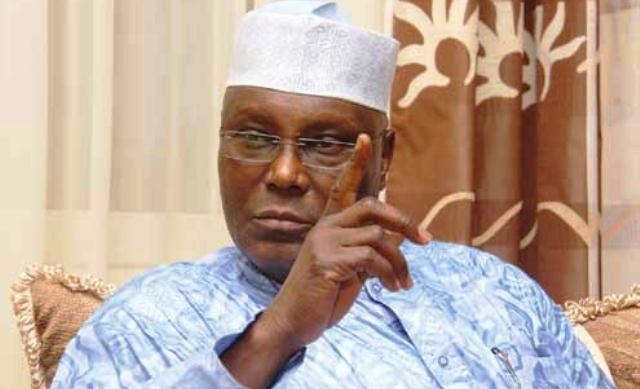 A faction in the Adamawa State chapter of the Peoples Democratic Party has alleged that loyalists of former Vice President Atiku Abubakar have taken over the party’s machinery in the state. The intra-party lingering squabble rocking the Adamawa Peoples Democratic Party (PDP) is taking a new dimension. A former Special Assistant to former Vice President Atiku Abubakar, Dr. Umar Ardo has accused his former boss of hijacking activities. Ardo, who spoke with journalists on Tuesday after submitting a petition to the Adamawa State PDP Congress Appeal Panel at the party’s national headquarters in Abuja called for cancellation of the results of last Saturday ward congresses. Ardo’s grouse with the exercise was that Atiku’s loyalists who decamped to the party less than two weeks before the recent congress were elected as party officials against Section 8 (b) of the PDP Constitution. Atiku, a chieftain of the ruling All Progressives Congress (APC), was reported to be preparing for his return to the PDP. To prove his point, Ardo cited the new PDP chairman in Atiku’s home constituency, Jada Local Government, who defected from the APC two weeks before his election as a testimony to the alleged grand plan. He said: “No election took place in Toungo, Ganye Mayo Belwa, Demsa, Numan, Shelleng, Yola North, Yola South, Mubi South, Michika and Madagali local government areas. “The Caretaker Committee members representing these LGAs simply sat in their rooms and drew up their list and submitted their names as elected executive members and they were admitted. He observed that Abubakar’s return to the PDP had its disadvantages, saying: “There are also three disadvantages. We learnt that Atiku is coming back to the party with an ambition; an ambition to contest for the Presidency. The former vice-president spoke through his media aide, Paul Ibe. “It is ludicrous to accuse a man who is not a member of a party of having hijacked the party structure. Whoever is making this allegation has to look elsewhere for their failings,” Ibe said.